Cultured, tree-lined and full of beautiful Beaux-Arts architecture, this neighborhood between Central and Riverside Parks is perfect for a night out. Known for its outdoor dining and people watching, keep an eye out for celebrity sightings; longtime residents Yoko Ono, Jerry Seinfeld, Bruce Willis and Tina Fey all live here. 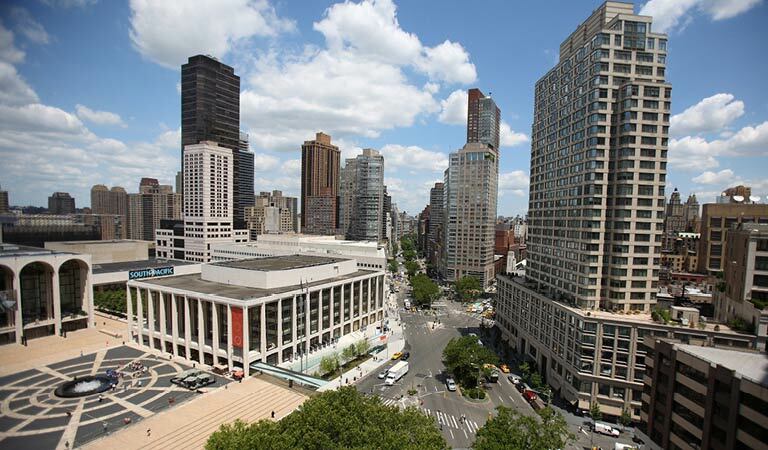 Located inside Lincoln Center Plaza, the Grand Tier Restaurant and Lincoln Ristorante also call this neighborhood home. Grand Tier's modern American dishes are beautifully plated with impeccable ingredients, from risotto with morels to poached halibut with fingerling potato confit. Caviar service is available, along with freshly baked soufflé. Lincoln Ristorante's philosophy is simple, to source the best local ingredients and prepare them with authentic Italian methods and spirit. We honor the tradition of making our own fresh pastas, charcuterie, and foccaccia. Chef Diamonte, Executive Chef of the Grand Tier, has an elegant fine dining style developed over seven years working with Jean-Georges Vongerichten. His style of contemporary American cuisine delivers vibrant flavors with polished presentation in every dish he serves. Chef Gallante, Executive Chef of Lincoln Ristorante, brings over 15 years of experience cooking in New York's most renowned kitchens, including Felidia, Bouley, CRU, and Ciano. Among his accolades are Food & Wine Magazine's "Best New Chefs," and a winning battle on Iron Chef America. Grand Tier is located inside in the foyer of the Metropolitan Opera House and welcomes all diners, whether you're attending a performance or not. Highlighted by spectacular chandeliers and original masterpieces by Marc Chagall, Grand Tier offers fine cuisine in a unique setting. Lincoln Ristorante was designed by Diller Scofidio + Renfro, integrating architecture, the visual arts, and the performing arts. The design includes glass walls offering panoramic views, and a rare sloping hyperbolic paraboloid roof that is a lawn of green grass open to the public.